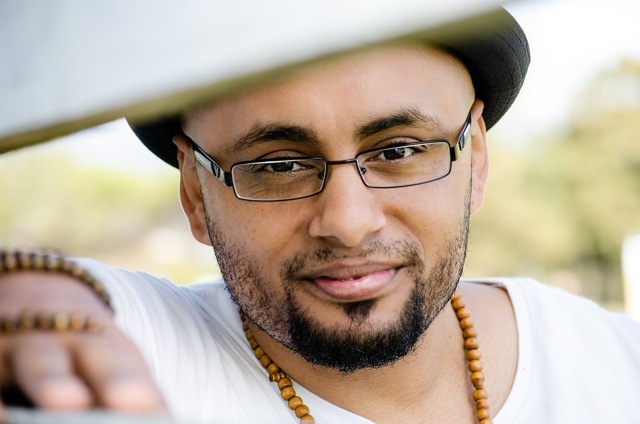 “Cape Town in summer is an exciting place to be, especially when Roeshdien, aka Mr Jaz, is in town to deliver his unique blend of pure enrichment and inspiration, live! The day to diarise is Saturday 28 November 2015. That’s when the “Perfect Mood”, “Feel For life”, “Inside ’n Out” and “Love is in The house” hit maker, along with his 6-piece band, will return to The Reeler Theatre at Rondebosch Boys High School for the official live performance tribute of a song, inspired by 16 Days of Activism called “#BeAMan”, written and produced by one of South Africa’s legendary songwriters, author of Crack the Songwriting Code, and founder of the Cape Town School of Songwriting, Clive Ridgway. Besides penning Mr Jaz’ brand new hit, Ridgeway’s written hit singles for the likes of Judith Siphuma, Jonathan Butler, Kurt Darren, Blackbyrd, Dr Victor & the Rasta Rebels, Selim Kagee in amongst a host of others. The show will play out a fusion of jazz, soul, funk, reggae, spoken word, conscious hip hop and promises patrons music with socially conscious lyrics and loads of commercial appeal. “It’s a show where like-minded people can connect, share and most importantly take some time out to celebrate the gift of life,” Roeshdien explains. “I will be performing all my popular radio singles, and also pay special tribute to some of my biggest inspirations: Supadan (A band founded by well-known Cape Town born International Musician, Brendan Adams and managed by Roeshdien back in 2003), as well as Lauren Hill, Sergio Mendes, Jamiroquai and his ultimate inspiration, Robert Nesta Marley. This will also be the final Mr Jaz’ final live performance for the year too, before he turns his attention to the release of his much anticipated debut album in March 2016, titled The Gratitude Café. Add the promise of surprise special guests and fans can expect a night like no other! Tickets are available via Computicket (R150) Limited seats are still available so book now to avoid disappointment. His two popular radio singles, “Inside ‘N Out” and “Love Is In The House” are currently available on iTunes. Three of his songs are also featured in the popular South African weekday soapie, Isidingo. Author: Martin Myers from triple M Entertainment. Images: For high res version/s of One image/s please contact triple M Entertainment.